Pallets Pallets Pallets..... They are everywhere! 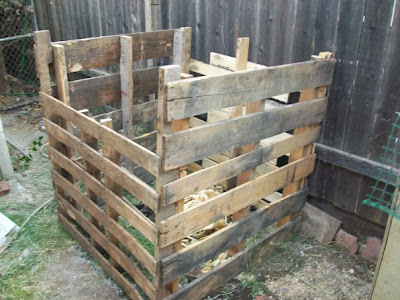 The uses I have seen for pallets are amazing! Even I use them for different things in my garden. I use them in my greenhouse as a floor. They are useful for making raised garden beds. I have even built a composting bin with them! 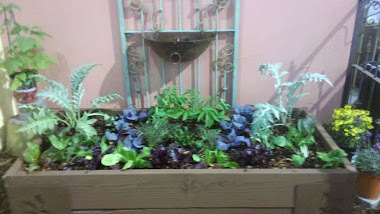 My latest Pallet creation was for a Home and Landscaping show here in Sacramento. I was show casing different ways to grow a garden. 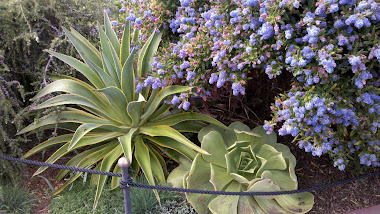 Gardens can be grown pretty much anywhere and in most things. It is all about creativity! Most people think recycling pallets may not always be a great idea. They are worried about what the wood may be treated with and or what products may have leached onto the pallet. To these people I say, don't use pallets if that is a concern for you. You can always pressure wash your pallets and try to make them as clean as possible. You can even spray them with some Eco friendly paint like I have below. With this pallet I wanted a bold color. Col-bolt Blue caught my eye as I was browsing Orchard Supply Hardware. The long window hanging baskets were also at Orchard Supply on clearance at just 3 bucks each, total score! I bought 10 of them in two sizes. As the gears in my head were rolling I thought these planter baskets would be perfect to screw onto the pallet. I spaced them far enough apart so the herbs and flowers would have plenty of room to grow. TA DA..... my Vertical Herb Garden was born. The next one I will make will be for Strawberries and loose leaf lettuces. One thing I love about this Vertical Pallet Garden, is that I can move it anywhere in my yard. 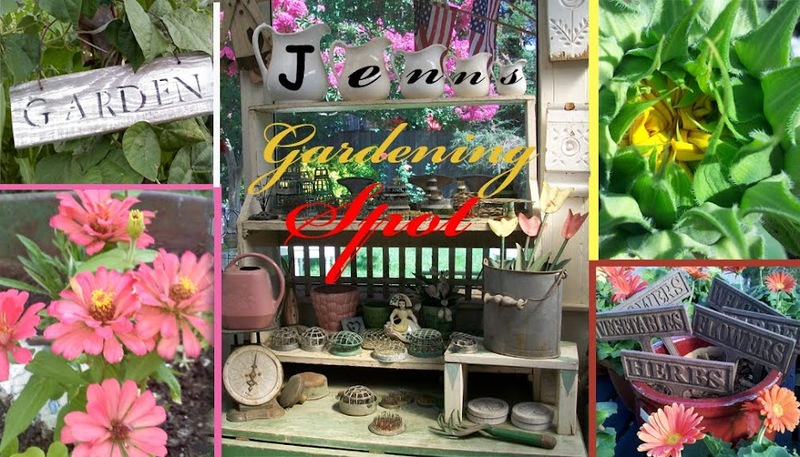 The Pallet garden will be nice near my patio tables, also making a nice focal point when eating our summer meals in the backyard! Maybe even a conversation piece. 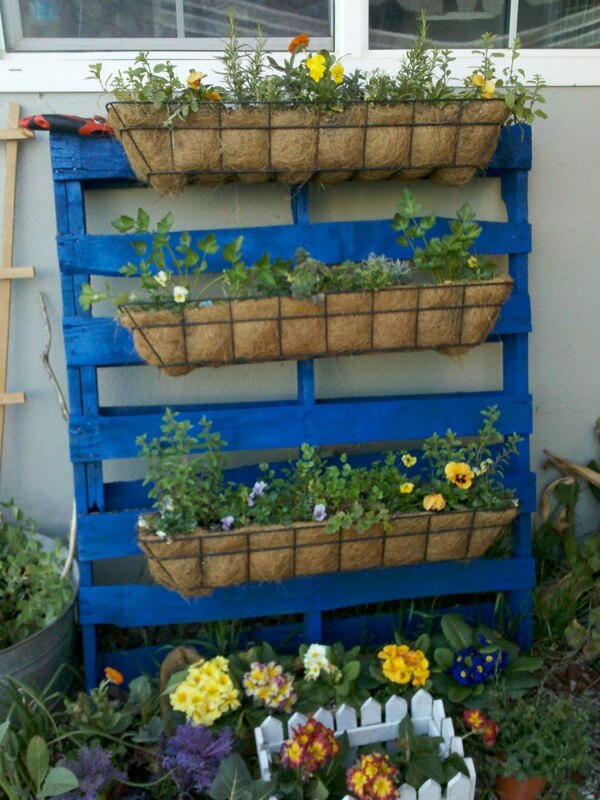 Have you used pallets in your garden? If so, how are you recycling them? What are you using them for? This is awesome! I have a stack of pallets in my yard and have been trying to figure out what to do with them ;) Vertical Herb Garden... but of course! Thanks!